Unipetrol assigned the design and implementation of the new solution to its trusted supplier company INELSEV, holder of the Sivacon Siemens Technology Partner certificate. New control systems came into use at different points in the production process. 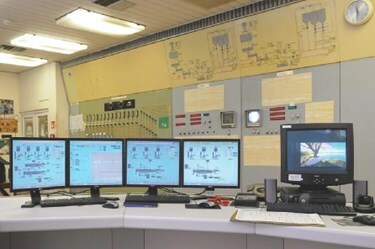 The modernization comprised the implementation of three programmable logic controllers of the SIMATIC S7-300 series; in the process, the distributed I/Os ET200M and ET200S were connected to the individual control modules via PROFINET. These control practically all processes involved in polyethylene granulation: The dosing systems themselves, heating the extruders, pressure optimization of the melt before the pressing system and the pressing system itself, which fragments the melt into granulate.